I first mentioned the idea of Flossuary a couple of years ago in a staff meeting. There was quite a lot of laughing and nothing much more was said about it! 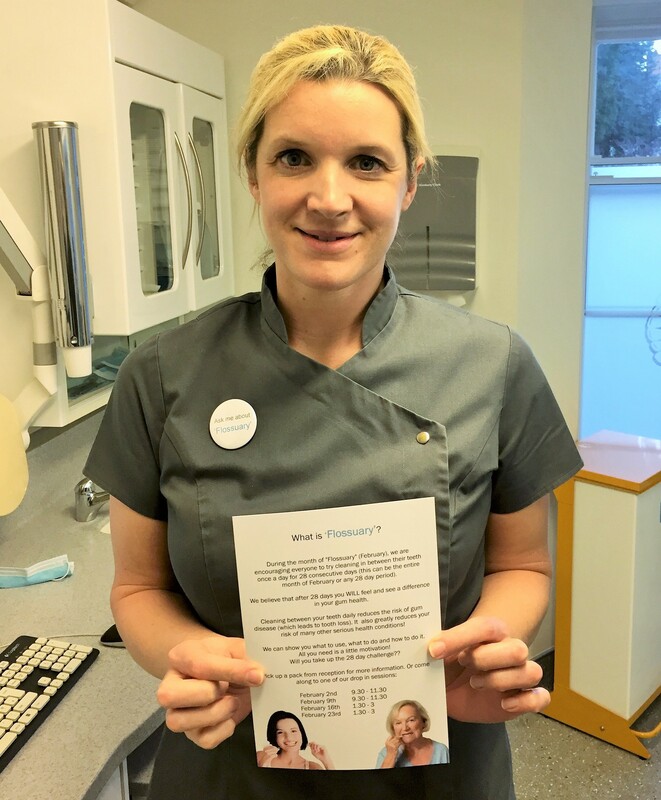 I’ve been a hygienist here for over 14 years so have spent many an hour, sitting on my stool, trying to think of ways to motivate patients to improve their oral hygiene. One of the things I say to my patients when I’m trying to introduce something new, whether its switching to an electric toothbrush or cleaning in between their teeth, is ” try to make yourself do it for a month, after that you will see and feel the difference!” and in my experience the majority of them do and many of them continue with their new habit. With current research linking poor gum health with many severe health conditions such as heart disease, diabetes and Alzheimer’s, cleaning interdentally has never been more important. It is no longer about simply preventing gum disease (which can lead to tooth loss). So we decided to try “Flossuary” in our practice. During the month of February, we are encouraging patients to clean between their teeth for 28 consecutive days. After this we believe they will see/feel the difference and hopefully continue the habit! If they’re not sure what to use or how to do it they can pop in to one of our drop in sessions for some free advice.